Your home is a family’s biggest financial investment. Replacement windows, sliding and swinging glass patio doors are proven and cost effective way to improve your home’s value, beauty, energy efficiency, security and reduce outside noise. Cornerstone Windows features a wide selection of replacement windows, patio doors, entry doors, and shutters from the industry’s premier companies. All products are expertly installed and include a manufacturer’s lifetime warranty. Cornerstone has been in business since 1998 and developed an installation system allowing our installers to complete projects with no drywall or stucco damage. Additionally, most jobs are completed in one day. Protecting your home and furniture during the entire installation process is always a priority. Cornerstone offers a free, in-home, no pressure consultation. Call 310-325-4700 today! We recently had the pleasure of inviting Cornerstone to install a sliding patio door and bedroom window. We were pleased enough with the first installation, we extended the invitation for additional windows. Now that we have the new windows, we don’t know why we waited so long. You’re to be commended for assembling such an outstanding work crew and office staff. From the first introduction to Marilyn and Maggie, I knew we had selected the right company. The installation crew was professional, well mannered and a delight to work with (can I adopt them?). You have a company you can be proud of. Our thanks once again for being the kind of company that we had hoped still existed. 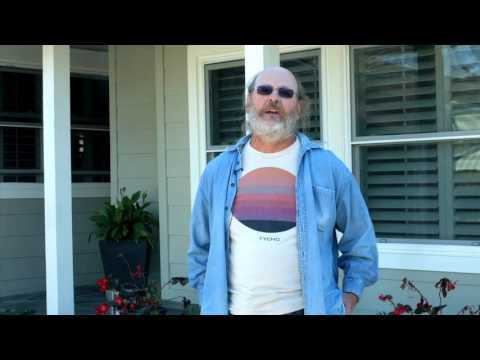 Cornerstone Windows’ customer Pam R. tells how her new Marvin Bow Window has transformed the front of her West Los Angeles home. Thank you for great service and care. I selected Cornerstone because you were local, received no hard sell, liked Marilyn instantly and could trust your company. There are no leaks during this recent deluge and the new windows have also cut down on my heating bill. I’ve never seen workers do their job so quickly and with so much care. Donna and I want to thank you for the wonderful job you and your crew did last Thursday. The windows look great and are performing beautifully. We need some really cold weather to test them out. What we appreciate the most is the conduct of your crew. Everyone was polite and performed in a professional manner. They answered any questions and cleaned up. We were impressed by the teamwork and the fact they were able to get everything done in one day. It was obvious the crew had done this before and are a reflection of the owner’s pride in providing service. We will recommend Cornerstone to our friends for future installations. Thank you once again for the beautiful windows, doors, and of course, the outstanding customer service. Our experience with your company is first rate. Quality, Value and Customer service is evident from the order, the product and the install. Thank you Marilyn for your deep empathy and care. Sandy is on her way to recovery. Hope all is well. Hope to see you soon to get the other windows. I was extremely pleased with your crew, the great quality of the materials and the exceptional work they did on my windows today. Your guys were friendly, courteous and very skilled and careful as they did their work. I know the bathroom window and back door were challenging, but they stepped right up and did a great job. I could not be happier with the outcome. The windows and doors look so attractive with the new vinyl trim that it feels like the outside of my house has been remodeled. Thank you so much for working with me on this project. You’ll have my business in the future. I’ll be sure to give referrals too, if I hear of anyone needing window work. I want to thank you for helping us on the installation at the third home you have worked on for us. It has been such a stressful time as the move date has come and gone serveral times. Also every service provider has changed their schedule or prices, thus causing frustration and anxiety. You have 100% always delivered what you say and when you say it will occur. My trust in your company is so great that I’m leaving the condo unlocked and the check under the doormat just to make life easier. Trust like that is unheard of unless you’re good friends or close family. On the subject of family, I had the pleasure of meeting your son when the team were installing at a neighbor’s home. He was as dedicated as you have always been and was proud of his work. All employees are content and feel respected, as that team obviously did that day, they feel ownership over their work. What a great way to run a company. 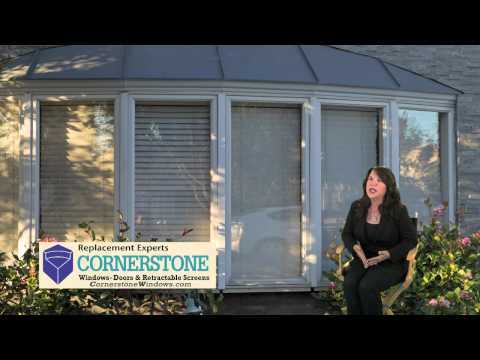 Cornerstone Windows’ customer, Lisa G. talks about how the staff made her feel very confident through the entire sales and installation process.